Get 10% off BrillKids Books! - . :Early Learning Community:. 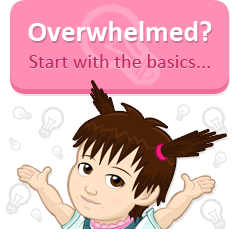 BrillKids Forum > BrillKids Announcements > Get 10% off BrillKids Books! Get 10% off BrillKids Books! Sent last July 14, 2014 | Return To BrillKids! IT'S THE BRILLKIDS SUMMER SALE! Summer's here! We know there's nothing like beating the heat with a glass of chilled water and a good book to read, so we're happy to announce that we're having a sale for all for some of our book items! Promo period runs from July 14 to July 18 so hurry and get your books now! 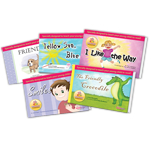 Now you don't need to get a Little Reader Deluxe kit to buy these wonderful storybooks! These special storybooks break down the process of reading by presenting the text without an illustration before showing a gorgeous illustration of the story. 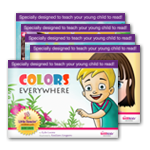 Although these can be used as standalone books, the Little Reader Storybook Series is designed to complement the Little Reader Learning System's English curriculum. Our original big-print books are making a comeback! These 5 books are larger than the books which come with our Deluxe kit, making them great for storytelling or shared reading for groups of kids. These books also don't feature the hideaway flap which hides the pictures for easier story presentation. We hope you enjoy these book sets from BrillKids! This promotion is available only from Official BrillKids Online Stores. The 10% discount is available only from July 14 to 18, 2014. Limited while stocks last. For countries with local distributors, please contact them to inquire about product availability. How can we get Brill kids Aesop's fables books online because we could not see any books on Aesop's fables books. I'm not sure what you mean by "could not see any books on Aesop's fables books," but you can buy Value Bundle 3 (Aesop's Fables Vol. 1 & 2) from the BrillKids Shop. You may choose to buy the "download only version" of the Aesop's books so you don't have to pay extra for shipping (the download only versions are meant to be used in the Little Reader software). Very good offer.i am very happy for reading this article.i would like to know another offers.i like to purchase the books.thanks a lot for sharing this post.i hope you more useful and interesting post.thank you. I'm new here, everything is very interesting.